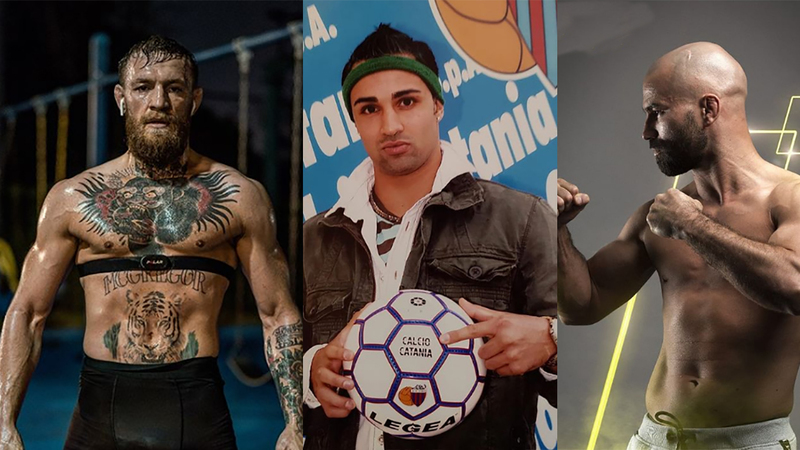 Home MMA News Conor McGregor Roasts Paulie Malignaggi After Artem Lobov Incident, Paulie Fires Back! Nearly one year ago, Conor’s teammate Artem Lobov took part in a minor altercation with UFC Lightweight champion Khabib Nurmagomedov. Conor McGregor was furious and travelled in a private jet to New York to protect Artem and teach Khabib a lesson. The situation escalated the next day when Conor McGregor threw a metal dolly on a bus full of UFC fighters Khabib was riding on. The Irishman literally destroyed the event, as Michael Chiesa and Ray Borg were forced to withdraw from the competition due to lacerations. But Artem Lobov was involved in another physical altercation yesterday!!! Lobov and Paulie Malignaggi made their first public appearances for Bare Knuckle FC on Tuesday, but a near-brawl occurred as the former boxing champ slapped “The Russian Hammer” while they were exchanging words face to face. But Artem and Paulie were separated almost immediately and the bigger incident was stopped. There were jokes on social media that Conor McGregor would fly to New York to protect his teammate again and deal with Paulie Malignaggi. But this time, “The Notorious” chose a different strategy and trolled Paulie Malignaggi on social media, sharing photos from their sparring sessions in 2017 before his boxing match against Floyd Mayweather Jr. Enjoy watching! Paulie Malignaggi and Conor McGregor have a beef history. After Dana White released a controversial video, Conor claimed he knocked Paulie down, while the former boxing champion was pushing a different story. Since then, the two went back and forth on social media many times. Malignaggi was even trying to persuade McGregor to fight him in a boxing match, but it seemed The Irishman wasn’t interested in that! Paulie Malignaggi fired back at Conor McGregor, challenging him to post the whole sparring session. On the other side, Artem Lobov could meet Paulie Malignaggi in a bare-knuckle fight in June. Yet, “The Russian Hammer” must defeat the former MMA fighter Jason Knight first. Knight Vs Lobov will happen this Saturday night on April 6, 2019, in Biloxi, Mississippi. Did you like Conor McGregor’s epic social media low blow?